FOOL!!! you cant defeat ninjas! Moral: Good one, give him ten bucks... Cheap? I just gave ten bucks to the other guy! 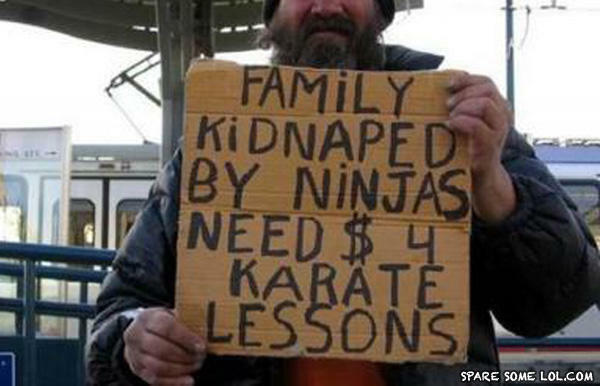 He needs four dollar karate lessons? FOOL u cant see ninjas!!! lmao smart man. I'd give him money. Moral: Good luck finding them ninjas, you are gonna need it.